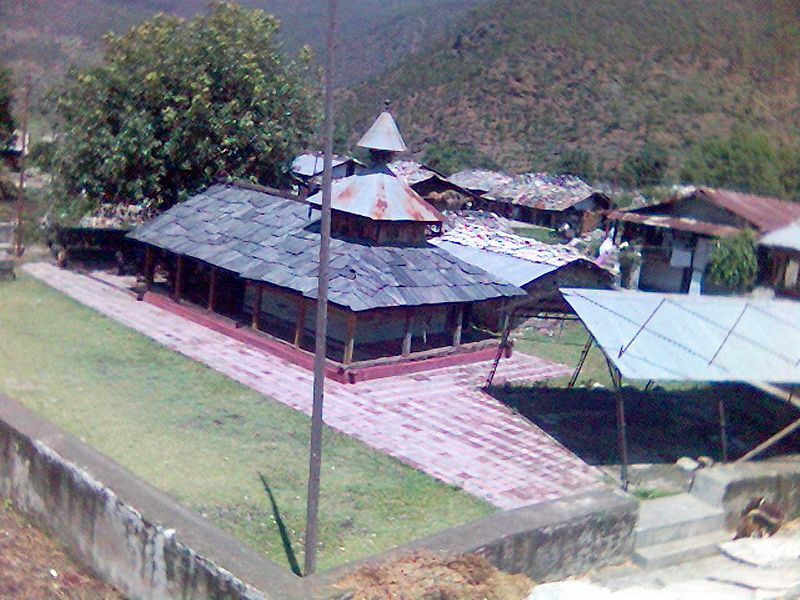 Gundiyat gaon is a village located in the lap of Himalaya, Uttaranchal, India. It is in the Rawain valley, which is richly blessed with the natural beauty. The village is about 120 km from Dehradun, capital of Uttaranchal and is at an altitude of 1450m. The Rawain valley is vast, with many villages flourishing, Gundiyat-gaon being the biggest of all. The legend goes that the village was named after a person Gundi, who was the first to inhabit there. Before that it is said, that long ago a rich civilisation flourished there. After the attack of Gurkhas, who came for plundering and looting, the native fled the place. After a long period it was again re-established. There is a local deity temple in the middle of village. The temple has the idol of Kapil Muni Maharaj, Khandasuri Dev and Kali Mayya. The architecture of temple is an example of fine art of ancient time. The walls of the temple is made of large rectangular blocks of fine and rare stone. Each block has engravings on it, showing drawings of gods and various designs. There is also temple of Lord Shiva, Kamleshwar, nearby the village. The temple has an ancient linga of Lord Shiva. People from far places come to visit the place in large number.